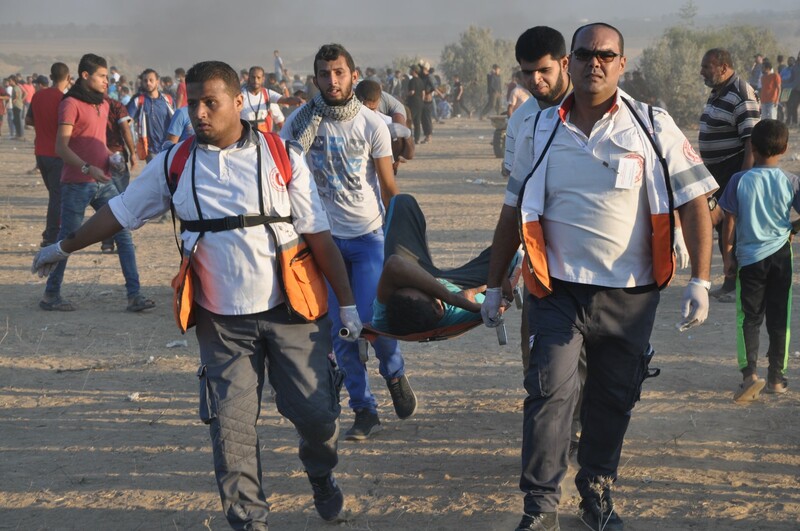 At approximately 14:00, thousands of civilians, including women, children and entire families, started swarming to the 5 encampments established by the Supreme National Authority for the Great March of Return and Breaking Siege along the border fence, east of the Gaza Strip governorates. They raised flags and chanted national songs. 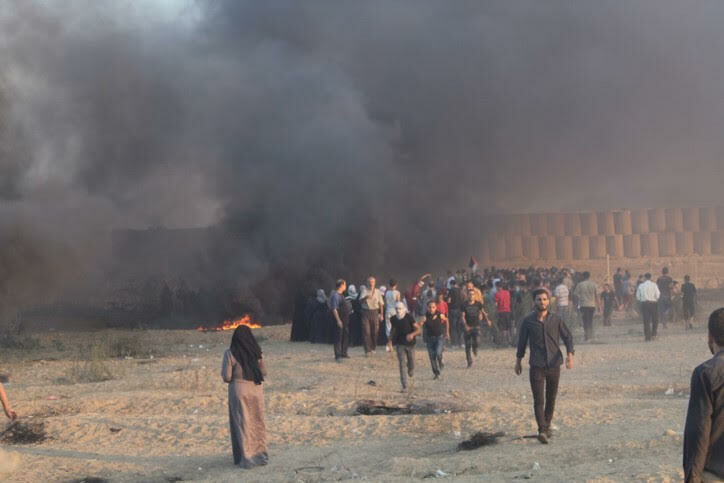 Hundreds, including children and women, approached the border fence with Israel, set fire to tires and gathered 300 meters away from the main border fence. 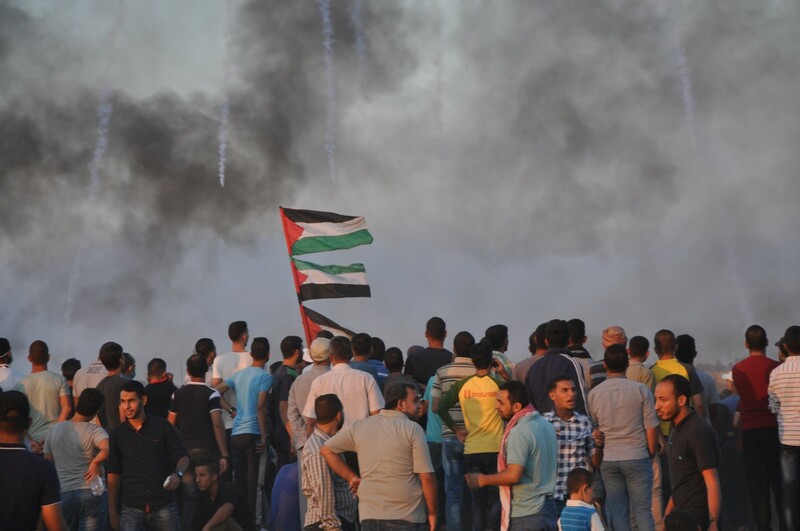 Some of them attempted to throw stones at the Israeli forces, pulled parts of the second barbed-wire few meters away from the fence established inside the Palestinian territories few meters away from the border fence and in limited cases, they threw Molotov cocktails along the border fence. Some of the protestors also attempted to cross the border fence, particularly in eastern al-Buraij refugee camp. 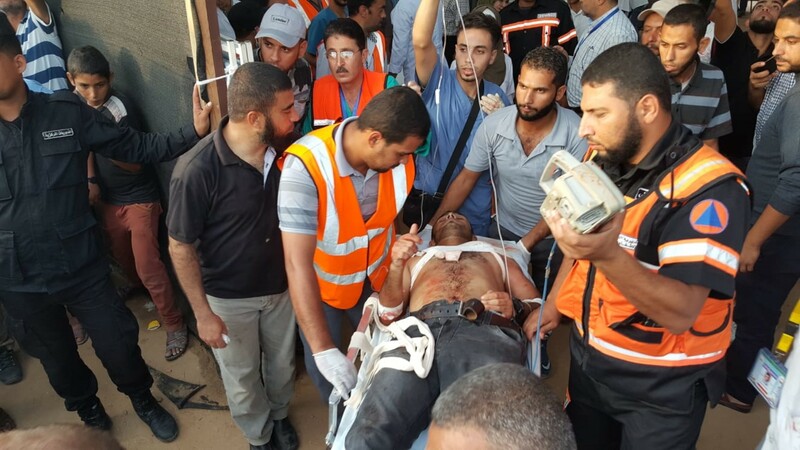 However, there was no threat posed on the lives of Israeli soldiers stationed behind barracks and sand berms, 70 meters along the border fence. Note 1. 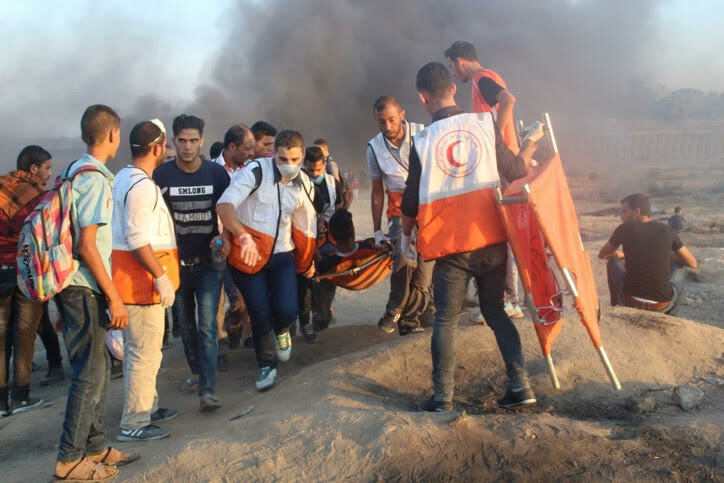 Among those Killed, there are 3 Persons with Disabilities and a child suffers from a mental disorder, while among the children killed, there is a girl. Note 2. 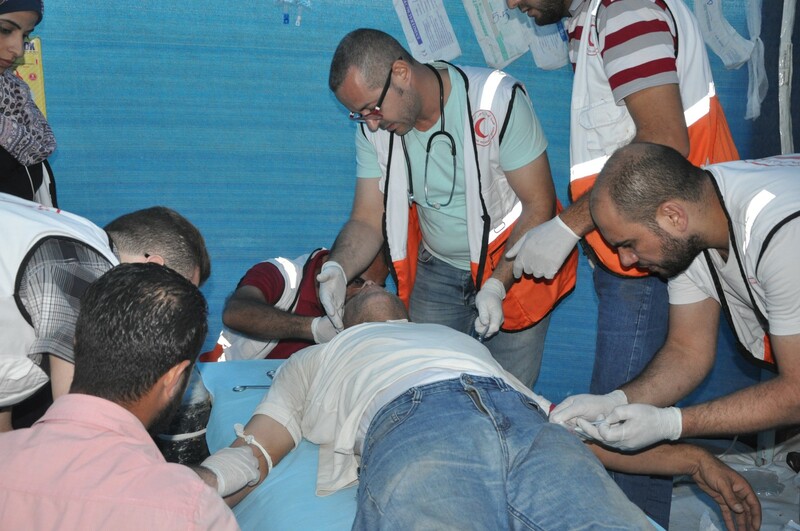 Among those wounded, 469 are in serious condition and 76 had their lower or upper limbs amputated. 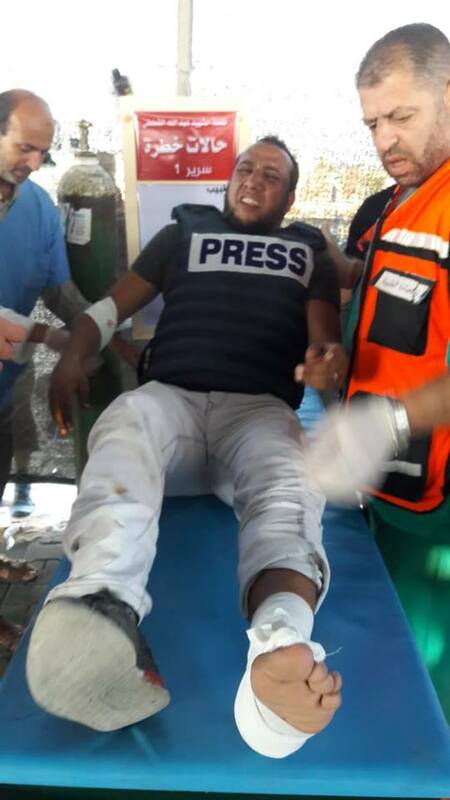 The number of those wounded only include those wounded with live bullet and directly hit with tear gas canisters as there have been thousand others who suffered tear gas inhalation and sustained bruises. 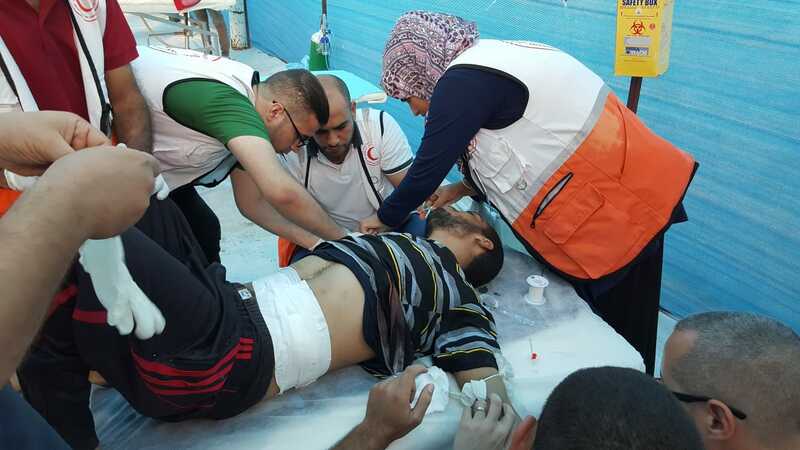 This entry was posted in MRSCP and tagged Gaza, Human Rights, Images, Siege, Violence by admin. Bookmark the permalink.